Smartpens in Education - Go far beyond notetaking! The number of ideas for using smartpens in education keeps growing as more and more educators (as well as students and parents) learn what invaluable tools smartpens are in the classroom. We've seen many examples of how smartpens in education have become a life-changing technology for students, teachers, and administrators. It is simply amazing that although the superintendent and a kindergarten student might use a smartpen in education very differently, it can be a useful and transforming technology for both of them. 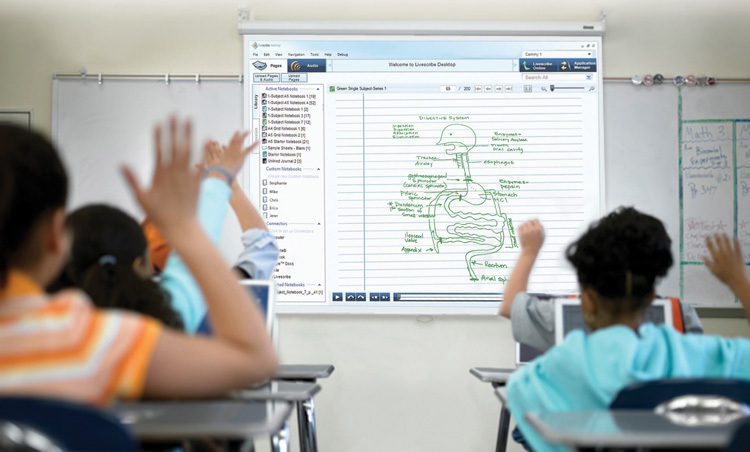 Smartpens in education can be used for so much more than simply taking notes. One of it's greatest benefits is allowing the teacher to "clone" themselves. By recording instructions on the smartpen, the teacher's voice and instructions can be in several places at one time. Find several videos that demonstrate creating and using various Livescribe activities. This video demonstrates how to print any document (test, worksheet, review, etc) onto Livescribe dot paper from a large notebook, use a smartpen to add writing and voice, and then turn this into a PDF that includes the pencast created with the smartpen with the overlain image of the document. Make a "smart" impact for under $200.